The recent accident involving the Gillmen has been traced back to a "faulty" cloning machine. Our equipment is millions of years old, there was bound to be some breakdowns. 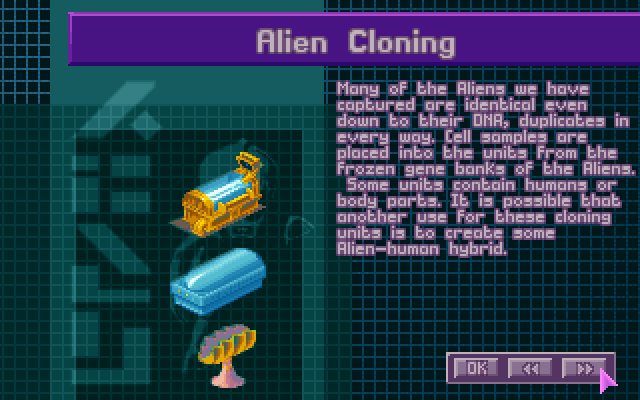 While we can't clone Gillmen directly, we did use a cloning machine to make batches of skin for them. This machine misfolded a protein in the skin layer, resulting in a much denser, harder epidermis than intended. After researching this protein, we found out how to maximize its effects. The only drawback being it is almost totally inflexible, so this toughened skin would work best on a creature with an exoskeleton. A life form sample returned on a resource gathering mission was the perfect candidate for this modification. 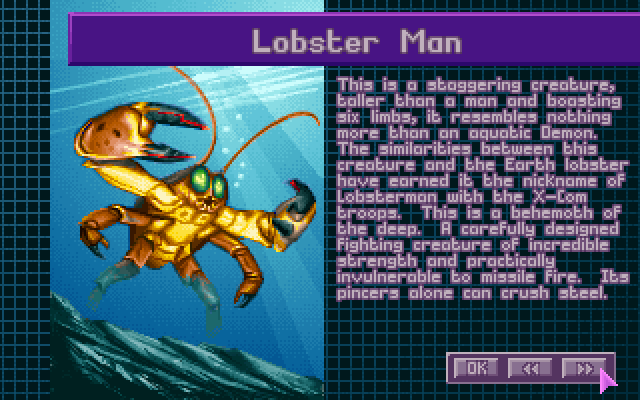 There has never been a more capable soldier than the Lobstermen. 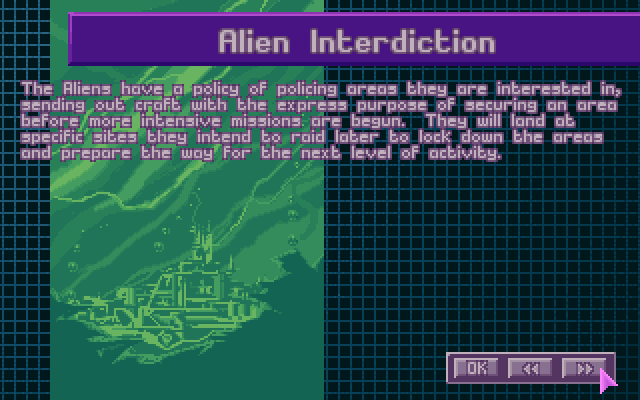 After modifying the original tiny crustacean to be more humanoid, we replaced the eyes with an organic tactical targeting system, enhanced the already toughened exoskeleton with titanium, and found ways to tweak nearly every other organ for maximum combat capability. The Lobsterman is an incredible feat of genetic and mechanical engineering, but creating the 9 test samples spent much of our resources. A new facility dedicated to pure Lobsterman construction is needed to be built. The ideal location is a nearby large body of water located centrally to the humans' population centers on three continents. A larger sub was sent to scout the area. Unfortunately, the results were the same. X-COM combat craft coming from somewhere over the open ocean followed us into sea, and engaged us at maximum weapons range. Though the heavy cruiser has longer range weapons than the cruiser, we were still outmatched and sunk without landing a hit of our own. The Lobstermen will have to prove themselves in battle sooner than anticipated. Music: A bunch of songs from the soundtrack to The Fountain. X-COM Soldiers attending: Tikiglass, Geno 'Soup' Soprelli, Chewbot, Terror Van, NX Cang, Elman Dahuevos, Lairek, Kliff Kowalski, grandpathong, and Lord Baxter. Results: To no one's surprise except my own, not a single Lobsterman died. 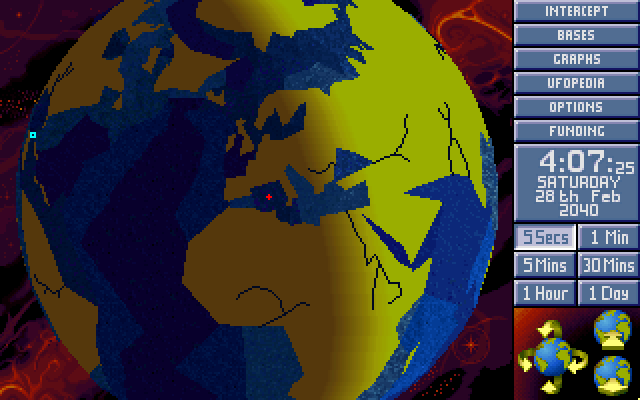 Everyone on X-COM died horrible, horrible deaths. Congratulations are in order for Tiny Turtle, who is no longer the most incompetent person I've played against. Seriously Lord Baxter, not one kill? And you tried to cut and run way early too. 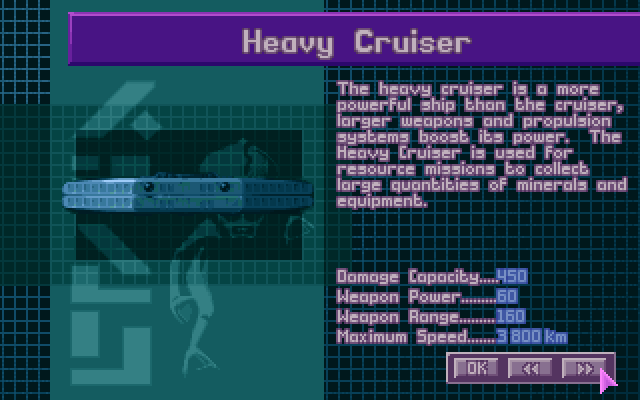 Oh, I guess some good comes from this as X-COM researched Sonic Cannon. I was short for time, trying to cram things into 2 youtube videos, or I would have mentioned in the beginning that Lord Baxter told me he starting LPing because he was inspired by my LPs. Then he goes and makes that TF2 thread. Why do you insult me so? We all cool though now. The Lobstermen we sent on the mission did return with an excellent location to build a new colony for them. Once we manufacture enough materials, we will expand our colony to this second site. 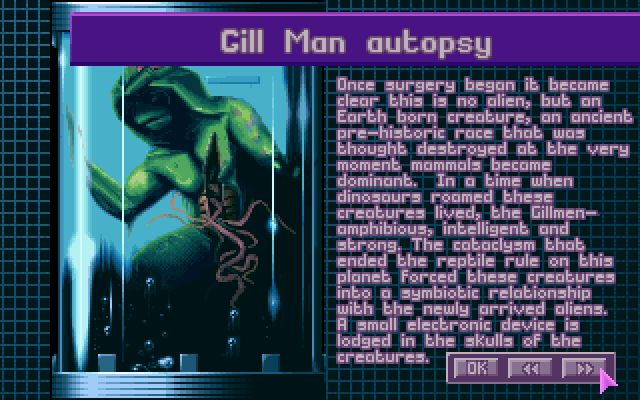 We have obtained information that X-COM has conducted autopsies on our modified Gillmen. Hopefully, they will not find a way to counteract the strengthened armor on our invincible soldier - the Lobsterman.